So lately I’ve been getting interested in trying out different filaments with my Snapmaker. I mostly use ABS but have used some PLA. I was just wonder what filaments people have tried with this unit. Has anyone uses Nylon or PETG and been successful? What about some of the more exotic filaments like PLA with wood or metal in it? Oh last thing, if you have any hints at printing these other filaments it would be helpful. I’m interested to hear responses. I’ve only had luck with PLA so far, as I do not yet have an enclosure. I tried some flexible filaments like TPU and the OOKMA brand flexible media… but it didn’t work out. This was due to two reasons 1: it is almost impossible to thread. The filament goes off laterally into the module innards instead of through the nozzle. 2: If all the planets come into alignment, and the Sun is at its zenith, and the wind is blowing south-easterly at precisely two knots and you actually get the media threaded, then the issue is that the snapmaker seemed unable to pull the media through the nozzle for a print. There may also be a third issue with feeding the filament. The way the filament holder is situated on the back of the SM causes the feed to rely upon the rigidity of the media: it swoops up for a bit, before turning down into the nozzle. Flexible media is too limp to do this. Issue 1: can be addressed by using @jjestings device he designed for this purpose. I do not know the ramifications of using this device as it relates to your SM warranty, so I’m not recommending here… just informing. Issue 2: May possibly be alleviated by using settings that are much more conservative than PLA settings. @jjestings also shares his wisdom regarding this as well. He states using these settings along with his device, he can print flexible media. Issue 3: Might be alleviated by using an alternate mount, or a reverse mount of the media. Not sure… I didn’t get far enough without being able to implement the above two solutions. @jjestings thread is here: Flexible Filament adapter is needed if you care to look. 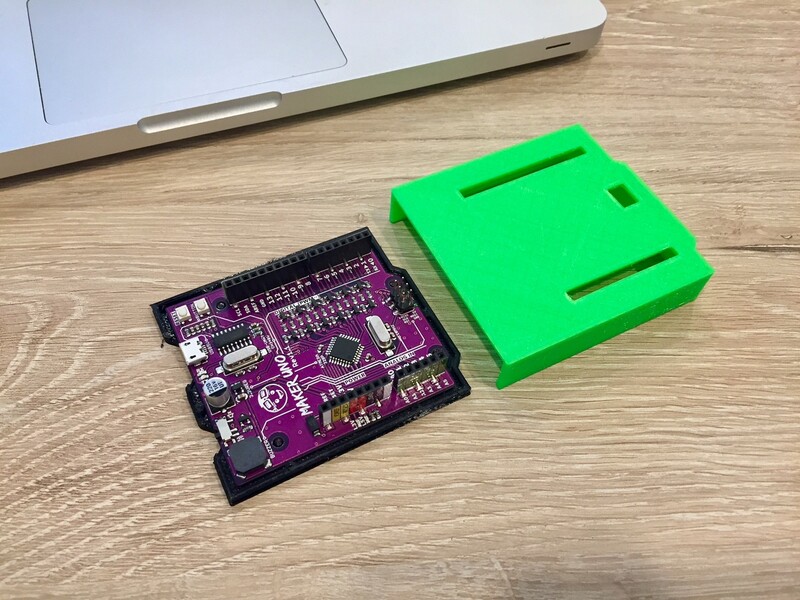 BUT – I really want to know if you were successful printing ABS objects on your Snapmaker. When you said you pretty much print ABS – was it on the SM or another device? If it was on the SM, could you share your secret to successful printing? I have been able to print abs successfully. I made a makeshift enclosure until the Snapmaker ones come. It’s just a storage bin (I think $12 from Target), upside down (printer is sitting on the lid). I then cut out a hole in the front. Intention was to put a piece of plexiglass with hinges to act as a door but never got to it. I used clear tape just so I could peak in and see progress. It’s not the greatest solution but it works. I get very solid pieces with no issues. I’ve had a bigger piece I was printing have a little separation in some of the layers, but not enough to affect the strength of the print. My main issue with ABS is the toxic chemical smell. I don’t smell it as it’s print as it’s all enclosed, but when I open my “enclosure” solution you can. I have been printing parts that I want to hold up to some stress. 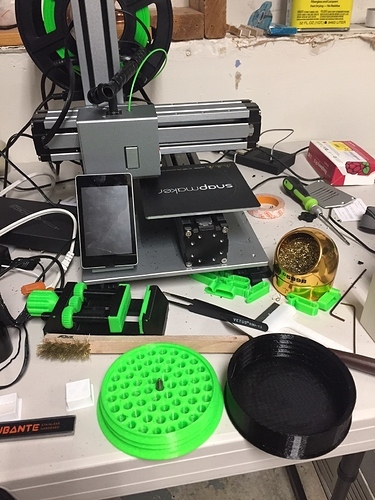 I end up designing and printing a t-channel camera mount for my Burton snowboard along with some extensions, a couple of different Pi Zero cases and a camera mount for my Xbox 360 camera for my OctoPi server. PLA to me seems to brittle for these applications. PETG is attractive because the fact that it’s stronger, less warping and odorless. It’s something I will end up trying once the official enclosures come. I have seen the solution that @jjestings came up with and would likely end up doing that once the warranty runs out (for me it’s coming up soon). Hello, did anyone else back the RePlay PLA filament on Kickstarter? I’m getting mixed results with it and want to compare settings. I used only PLA so far. I backed this Filament on Kickstarter: http://www.matteforge.com. Its looks really nice and works great except for large overhangs. I also tried some Wood PLA with 30% real wood within it. Absolutely stunning! Unfortunately I only bought a few meters for testing. I am living in Germany and bought it in the USA at this shop: https://printedsolid.com/pages/about-us. Really nice little store for 3d printing. In a few weeks I will get back there and buy a kilogram. Heres the link: https://printedsolid.com/collections/wood/products/colorfabb-woodfill-fine. For both of these filaments you don’t need any special settings. I haven’t used PLA for anything but the first print I have done on the Snapmaker. I had switched to ABS and now am using PET-G. I think I will be sticking to PET-G because of the strength. I print almost exclusively in PETG. My only issue I found with PET-G, it seems I can’t get a layer height of less than 0.15mm to adhere to the bed. Anything else seems to adhere fine. Also I have a problem with doing small details. In the below, the back looks decent but the adhered side not so much. I’m using Inland PET-G Filament with a bed temp of 80 degrees, 240 degrees for print temp, 120% Initial Layer Width and 120% Flow. It sticks to the bed with no issue and if i print something flat it prints perfect, but the letters and the screw holes looked messed up. So I was printing with the default Snapmaker settings through their app just upping the temp. Today I tried to test utilizing Cura and setting the offset and no matter what I have the offset as, with 0.1mm I can’t get it to adhere. I’m going to try to use the same settings as I listed above to see if I can replicate the Snapmaker software with Cura. 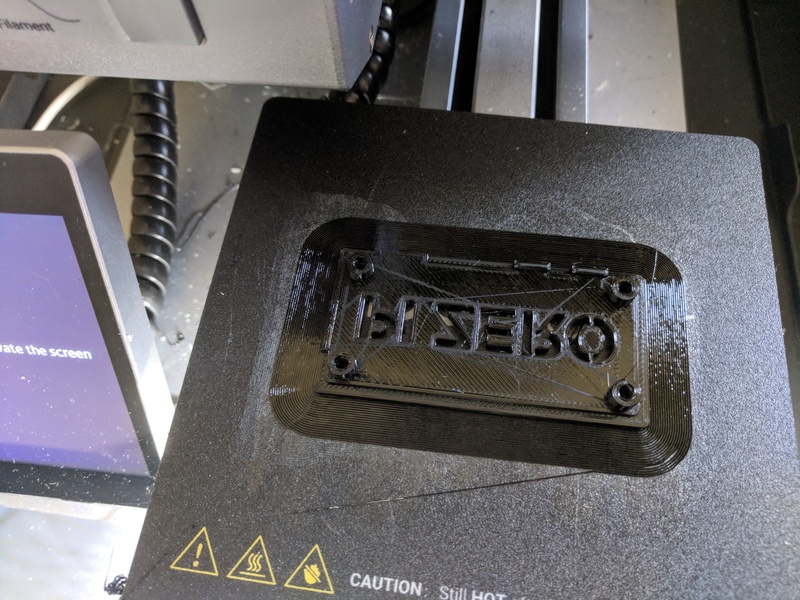 Just an update… So after many failed prints with Cura, I finally have given up on the software. I also started having issues with the new version of the Snapmaker software, where it appeared the software was only generating code to print the outer shell of whatever I was printing. 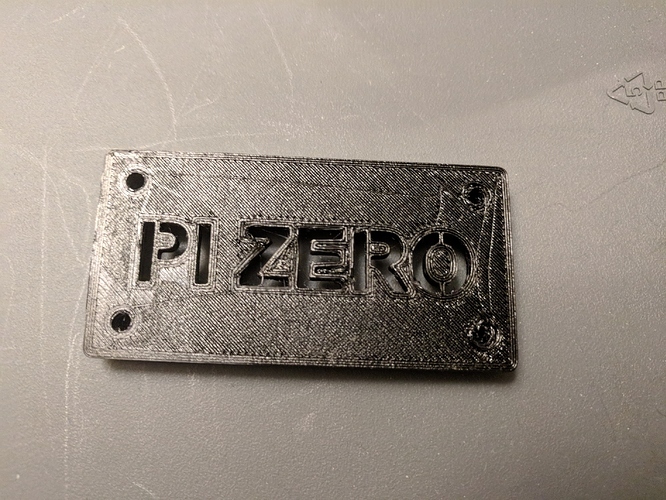 So after much aggravation, I bit the bullet and paid for Simplify3d and boy is it worth it. I setup the Snapmaker and put in my settings for my Inland filament, had good adhesion to the bed and might have produces one of my best prints yet. Worth every penny. I kind of wish there was a spot on this forum for people to post their Simplify3d profiles for different filaments to make everyone life easier. Just download the profile, import and you are off to the races. Getting pretty awesome results with Sunlu PETG off of Amazon right now if anyone is interested. I’m using 230/70C with 100% flow in Cura and stringing is very minimal if you don’t mash the first layer like most people are doing with PLA. Stock sticker wiped with IPA sticks prints with no problem.